I went round to & Other Stories the other day after stumbling upon some of their Spring dresses online. & Other Stories is the higher end of the H&M fashion house, and is a brand that initially caught my attention, and then lost it, stupidly, because they didn't accept my Amex. Lol. I've gotten over it, forgot, and returned ready to take over the floor. They actually have some pretty good stuff, that is wearable, and in fair sizes. My priority is always in finding natural materials, both because they are sustainable, and better for your skin. I'm a big fan of soft cottons, and silks, of which Stories has a lot. My selection includes all of this. 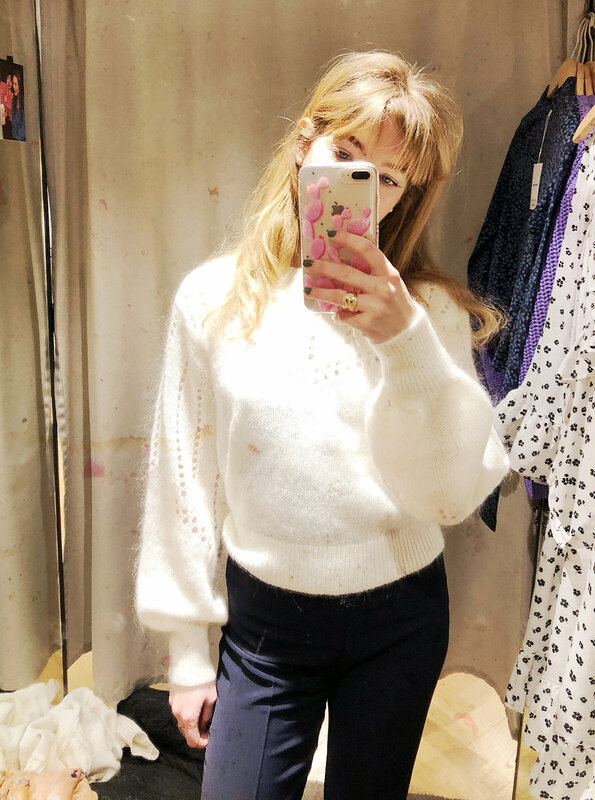 I almost didn't get this sweater because it's a mix of mohair and I find mohair lovely to look at but annoying to wear. However, it's sooo fluffy and lovely to look at. Looks won me over. It's not particularly itchy or anything, but it IS mohair so you have to be okay with that. This chunky sweater called me over immediately. I got size 36 instead of 34 because I prefer a slightly larger oversize look in this. It was very cropped in the 34. Beautiful cotton, like my Alexander Wang ones. And the colour is striking on blonde hair/blue eyes. Recommend.